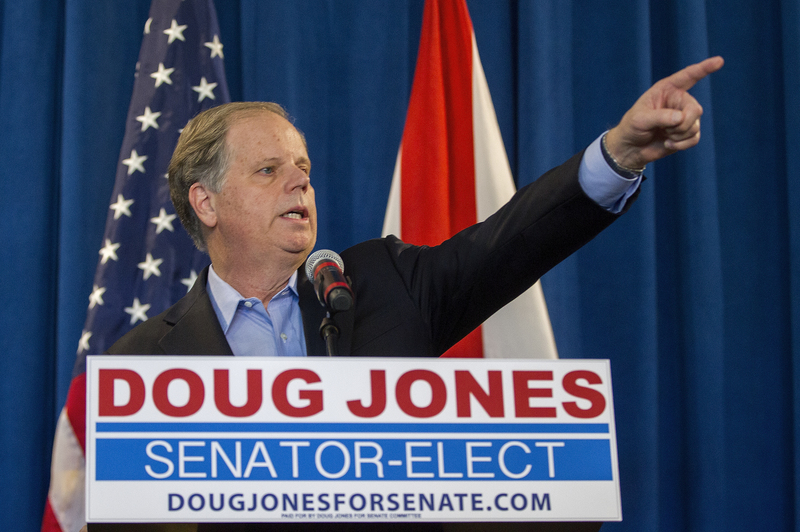 Democrats won control of Alabama’s junior U.S. Senate seat in 2017 after the state held a special election to replace former Attorney General Jeff Sessions who vacated the seat when he was elevated to head up the Department of Justice. Jones defeated Republican Roy Moore, who faced massive backlash after allegations arose that Moore had molested a teenager in the 1970s. Despite the controversy, he won the election by less than 2 percent of the vote.